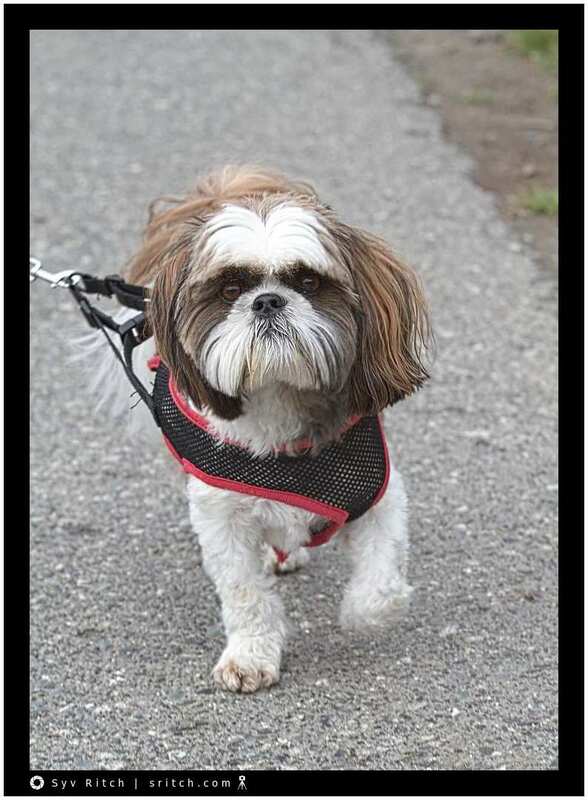 The Lhasa Apsos are very popular in my neck of the woods. They are small dogs and they do quite well living in apartments/condos. This Lhasa Apsos looks very pissed-off at me. I standing exactly in front of him to make his photo.